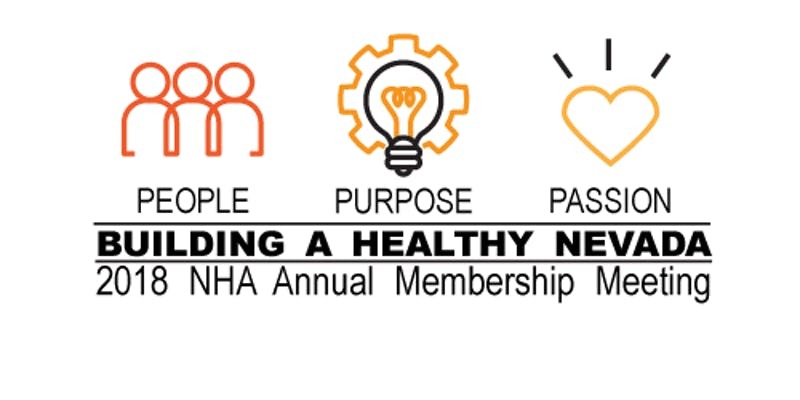 Don’t miss the 2018 Nevada Hospital Association Annual Membership Meeting taking place August 28 – 30 at the beautiful Hyatt Regency Lake Tahoe Resort, Spa and Casino. Click here to access the Agenda-At-A-Glace (as of 5/29/18). Hotel accommodations are available with the Hyatt Regency by clicking here or by calling 800-233-1234. Discounted rates begin at $200 per night and are available through August 21. A special thank you to our 2018 sponsors (confirmed as of 7/20/18) Nevada Donor Network, Donor Network West, B.E. Smith, Lifeguard International/Flying ICU, Athena Health, Sierra Donor Services, NRHP, Anthem, Rash Curtis & Associates, Sunrise Health, Hudson Insurance, UNLV Dept. of Healthcare Administration, Bristol Myers Squibb, Privis Health, REMSA, Renown Health, Sound Physicians, Indeelift, Tru-D Smart UVC, Schumacher Clinical Partners, HGA Architects and The Valley Health System.